Lohman, recently a postdoctoral fellow in Dave Pagliarini’s Department of Biochemistry lab at the Morgridge Institute for Research, was in her second year of graduate school as part of the Integrated Program in Biochemistry (IPiB) at the University of Wisconsin–Madison at the time. IPiB is the joint graduate program of the Department of Biochemistry and Department of Biomolecular Chemistry. 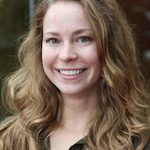 Lohman began her one-year fellowship at the start of 2019. Ultimately, she hopes to contribute a data-driven approach to policy decisions while discovering new ways to solve problems. Previously a trainee with UW–­Madison’s Biotechnology Training Program and a National Science Foundation (NSF) Graduate Research Fellow before continuing in the Pagliarini lab as a postdoc, Lohman hopes to pursue a career in science diplomacy, a path not traditionally taken by scientists. Story by Ruth Brandt for the Morgridge Institute for Research. See the original here.